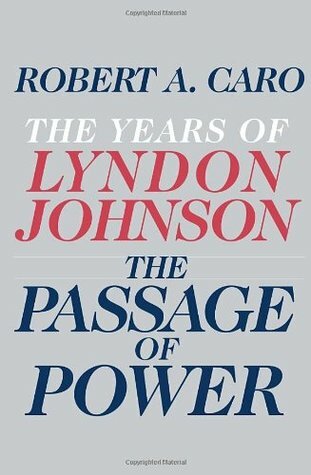 “The Passage of Power: The Years of Lyndon Johnson” is the fourth (and most recently published) volume in Robert Caro’s series covering the life of Lyndon B. Johnson. Caro is a former investigative reporter and the author of two Pulitzer Prize-winning biographies. 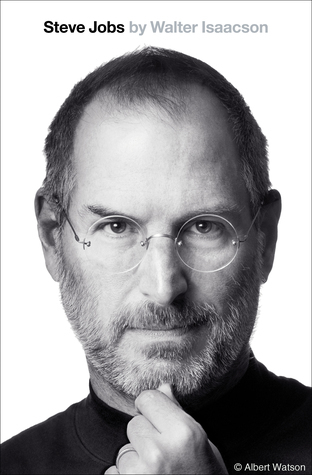 He is currently working on the fifth – and presumably final – volume in his LBJ series. Published in 2012, “The Passage of Power” covers roughly a half-dozen years: from Johnson’s campaign for the 1960 Democratic presidential nomination (while Senate Majority Leader) to his first State of the Union Address as President in 1964, just seven weeks after JFK’s assassination. This 605-page volume is comprised of two sections of nearly equal length: the first consisting of the period leading up to Kennedy’s assassination, and the second focusing on the earliest weeks of LBJ’s presidency. Ever mindful of readers who have not read previous volumes, Caro periodically refers back to important moments in LBJ’s early life to provide valuable context. And he occasionally peers ahead in order to foreshadow themes that will presumably permeate the final volume of the series. Readers who have followed LBJ’s life throughout this series will find much that is familiar and praiseworthy. Caro’s writing style – fluent and brilliantly insightful but also occasionally cumbersome – is again on display. But happily, the labyrinthine sentences, page-long paragraphs and unnecessary story line tangents that have populated previous volumes seem in shorter supply. Like previous installments in this series, “The Passage of Power” is almost as much a treatise on the acquisition and use of power as it is a narrative of Lyndon Johnson’s life. But while serving both of those purposes exceedingly well it also provides a fascinating window into a remarkable transformation: of a depressed and politically powerless vice president into a capable and forceful president who managed to control his worst impulses and survive a period of significant political peril. There are too many excellent moments in this book to exhaustively detail, but among them are useful “mini-biographies” of John Kennedy and Senator Harry Byrd, riveting and penetrating coverage of the relationships between LBJ, JFK and RFK, a canny analysis of the power of the legislative branch of government, and a fascinating discussion of the formation of the Warren Commission. Caro’s thorough description of the fight for the 1960 Democratic presidential nomination (and the selection of LBJ as Kennedy’s running mate) is excellent. His later review of the events surrounding JFK’s assassination proves no less detailed – or engrossing. And somewhat to my surprise, this volume provides far more insight into the Dallas assassination (and the days that followed) than any of the eighteen biographies of JFK and LBJ I’ve previously read. “The Passage of Power” possesses a few flaws, but none will surprise devoted readers of this series. As demonstrated in previous volumes, Caro can be repetitive. He frequently recycles phrases, quotes and memorable one-liners not only across volumes in the series but also within an individual volume. I’ve now read one specific quote so many times that it seems permanently seared into my memory. In addition, Caro sometimes becomes so engrossed in the details of whatever issue he is exploring that he fails to provide a clearer sense of the “big picture.” Readers seeking a holistic sense of LBJ rather than a granular understanding of his every strategic move are prone to losing the forest for the trees. And given the enormity of the public challenges LBJ faces during this volume, it is unsurprising (but still regrettable) that so little of his personal life is explored. Overall, however, “The Passage of Power” is an incredibly compelling and endlessly captivating exploration of six important years – and several enormously consequential days – in the life of Lyndon B. Johnson. Anyone who has enjoyed previous volumes will find much to appreciate here, but even readers new to the series will find this volume immensely rewarding. And if the measure of a volume is the degree to which it creates an spirited sense of anticipation for the next volume, “The Passage of Power” is truly exceptional. Great review. What is the quote that is seared into your memory? One of Mr. Caro’s interviewers (Brian Lamb I believe) brought up how many times the word ‘lonely’ was used in contemplating LBJ’s early life in the Hill Country. Having lived in Texas two decades (during my own youth) and gone camping in the Hill Country, “lonely” is a word which is quite appropriate unless you have lots of friends/family around! I have this series on my bookshelf, among many other presidential bios, but I am going to wait for the right time to start it. Seems like it will be a very demanding read, but I’m looking forward to it because I equate it to climbing a mountain – after you complete the task the reward is awe inspiring. This volume was my least favorite, perhaps because I learned my about distant times in the earlier three, than this one which concentrated on characters and actions I knew more about. There was one other difference here: I felt Caro’s changed his style from disappassionate chonicler who shaped the bio, when needed to sell a point of view to out right cheerleader. I am referring to the civil rights battle where, perhaps understandably, Caro took the side openly of Johnson. I think he would have been far more effective to remain more neutral and let the story and characters (and the way he shaped them) clearly take the side of advancing the cause of African American equiality. I’m sure you’ve read how Caro puts on a coat and tie and goes into his office to work on his biography. When reading his work I now feel like I should also approach it in a serious manner. I may have on jeans and an open collar shirt, but I make sure to read it from print and I sit up straight in chair. Just tackled this one myself and I absolutely agree with you regarding the assassination and aftereffects. It’s strange how little JFK biographers seem to care about that, as if time simply stopped with JFK’s death. I’m afraid I didn’t enjoy this one as much as Master of the Senate. The denouement where Caro previews the “Fall of LBJ” he seems to so relish telling feels tacked on and unnecessary, almost as if the author said to himself, “damn, if I leave it here people are going to walk away thinking of LBJ as an admirable and impressive man who lead the country through a nearly impossible crisis is masterful fashion. We can’t allow that!” Once again, Caro’s contempt for his subject tilts some things. I also felt like the book lost a little steam at the end; I expected a little more on the Civil Rights Act of 1964 and it felt like Caro couldn’t be bothered to finish it off here. Still love the mini-bios, though. Wow. I think only a couple of other bios have hit 4.75. Maybe Chernow’s Washington and one other?? Looks like John Adams: A Life by John Ferling.